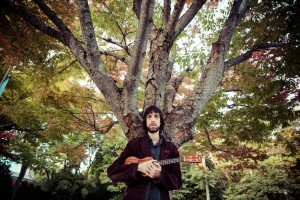 Tim Mann is a singer-songwriter who performs on guitar and ukulele. His songs are in the style of early Neil Young and later Tom Petty with a strong influence of Bob Dylan and George Harrison. Tim’s latest record, Chasing Dreams’ explores loss and isolation through stark lyrical images couched in a mellow melodic setting. On ‘Chasing Dreams’ Tim is helped out by some of the first musicians in the Greater Boston area including Greg Hawkes (The Cars, Todd Rundgren, The Turtles featuring Flo and Eddie), Zachariah Hickman (Josh Ritter, Ray LaMontagne) and Laurence Scudder (Ryan Montbleau Band, Spotted Tiger, Brothers McCann). Tim has been performing in both solo and duo/band settings throughout the Northeast since 1993.